Born on June 26, 1808 in the city of Santiago de Cuba, Mariana Grajales Cuello is best known for the role she played in her country’s struggle for independence against Spain. Referred to as the “Mother of Cuba,” Cuello’s promotion of national pride and patriotic sacrifice helped rally her people in a military campaign that would ultimately end Spanish rule in her country. A mixed-race (Spanish and African) daughter of Dominican parents, Cuello was raised in the eastern region of Cuba known for its racial fluidity and concentration of middle-class Afro-Cubans. As her parents were landowners, Mariana grew up in an environment that allowed her to become astute in business affairs. During her youth, she was exposed to notions of liberalism and became deeply religious; these two facets of her belief system would eventually be incorporated into her own children’s lives. Married to Venezuelan Marcos Maceo in 1851, Mariana and her husband subsequently lived at La Delicia, in Majaguabo, San Luis. Here, Mariana gave birth to nine children, adding to the four that she had from a previous marriage. She and Marcos shared with their children stories and histories of the earlier successful independence movements by other Latin American and Caribbean nations against Spain. She and her husband also trained them in the arts of self-defense. Two of her sons, Jose and Antonio, later became generals in Cuba’s Liberation Army. Two days after the start of war of independence against the Spanish in 1868, Cuban rebels arrived at the Maceo/Cuello home and asked for support in the fight against the Spanish. Both Marcos and Mariana agreed. She established and ran a hospital for wounded soldiers. Occasionally she even attended some of her own children who were fighting with the rebel forces. Often with subordinates, Mariana followed closely behind rebel troops, providing not only material but also emotional support. Stories of her commitment toward the effort against the Spanish despite the loss of her husband and some of her sons in battle made her a renowned figure during the independence campaign. She was seen as a model for other Cuban women, risking everything for the sake of the country. Having lost all family property and with death warrants issued on her surviving sons, Mariana went into exile in Jamaica in 1878 where she continued her work toward Cuban independence by forming patriotic associations among exiled Cubans. Mariana Grajales Cuello never returned to her homeland. 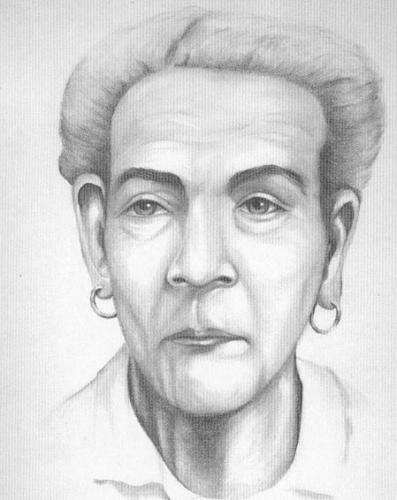 She died in Kingston, Jamaica at the age of 85. In 1957, Grajales was given the title “Mother of Cuba” by Havana mayor Justo Luis Pozo del Puerto, in acknowledgement and appreciation for her patriotism and work toward liberating her country. Jose Luciano Franco, “Mariana and Maceo,” in Pedro Pérez Sarduy and Jean Stubbs, eds., AfroCuba: An Anthology of Cuban Writing on Race, Politics, and Culture (Melbourne: Center for Cuban Studies/Ocean Press, 1993); Jean Stubbs, “ Social and Political Motherhood of Cuba: Mariana Grajales Cuello,” in Verene Shepherd, Bridget Brereton, Barbara Bailey, eds., Engendering History: Caribbean Women in Historical Perspective (New York: St. Martin’s Press, 1995). Perspective (New York: St. Martin’s Press, 1995).